Listen While You Read | "Northern Crossings"
There’s a fascinating commercial that talks about how it’s the fact that smart people read a lot. Top CEOs read a lot. Successful people read a lot. Then the commercial goes on to tout recording’s of books that people can drive around and listen to, or of they are of the mind, exercise and listen to etc. The last time I looked there was a big difference between listening and reading. I know that most scholars claim we are in a post literate world and I believe that but I would still think most people understand that there is a difference between reading and listening. Luther was intent upon the importance of the gospel being preached and heard. He believed in the living voice of the gospel as one human being conveying and communicating to another the grace of God. He was also a strong proponent of reading the word of God and that’s why he translated the Bible into the vernacular. But there’s an interesting thing that he also brings to light and that is how important it is that when you’re reading the Bible in a Bible study or in your own personal devotions, that you read it out loud. Despite what seems to be a monition against it that had probably accreted over the years but that was never actually written down, Luther believed that the “common man” had, not only the right to read the Scriptures, but the duty. How can you figure out if there is “right doctrine” if you haven’t read the Bible? That was the point of the monition. Only the Pope and Bishops had the right to determine what was “right”. The thought that weighed heavy on Luther was a question from one of his antagonists. “After all these years of the magisterial function of the Holy Church, what makes you think you are right”. His answer was always pretty much the same – the Scripture is the only source for doctrine. 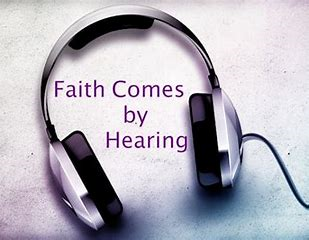 “Faith comes by hearing” Paul tells us. Luther said there had to be a preacher and the spoken Word of the Gospel and he also urged people to read the Bible aloud as they meditated. Read it, study it, and inwardly digest it, we used to say. That last bit means to take it to heart. I like the sound of “inwardly digest”. Auditory or written – take it to heart. NextThe More Things Change …..
God Bless America – Happy Birthday.